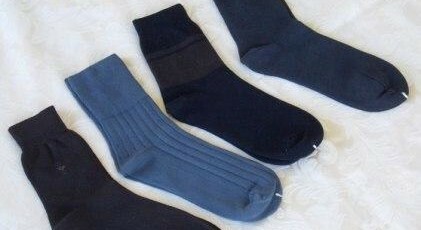 Socks impregnated with nano-silver promise their antibacterial properties will eliminate unpleasant foot odour. Brilliant! That is, until we consider the significant consequences that the use of nano-silver may have on human health and the environment. Nano-silver is used in a wide range of socks, undies, shirts and much, much more to kill microbes. The majority of the nano-silver will be washed down the drain after 3 washes and once leaked from a garment, nano-silver ends up in the environment and you’re back at stinky-foot-square one. Not only that but studies have shown nano-silver is highly toxic to aquatic organisms – causing zebrafish to develop with head deformations and no eyes. Most nano-silver winds up in sewage sludge which is applied to agricultural land where it has been found to disrupt nitrogen-fixing bacteria in soil, posing a potentially catastrophic threat to global food production. Scientists have also warned that the widespread use of nano-silver will encourage the development of antimicrobial (antibiotic) resistant bacteria, recently described by the WHO as a “major global threat” to public health. These potentially catastrophic side effects raise the question – are these socks really worth the risk?